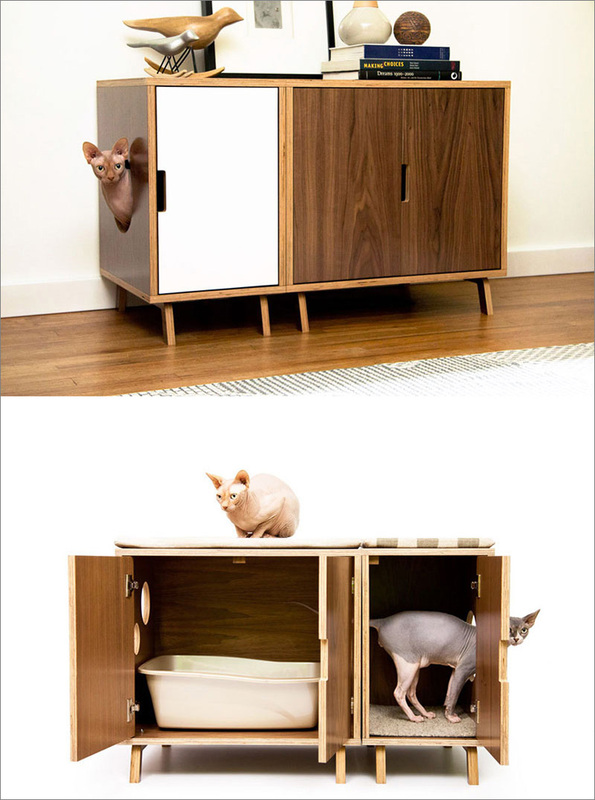 Keeping your litter box out of sight while leaving it accessible to your feline friend can be a hard thing to arrange. 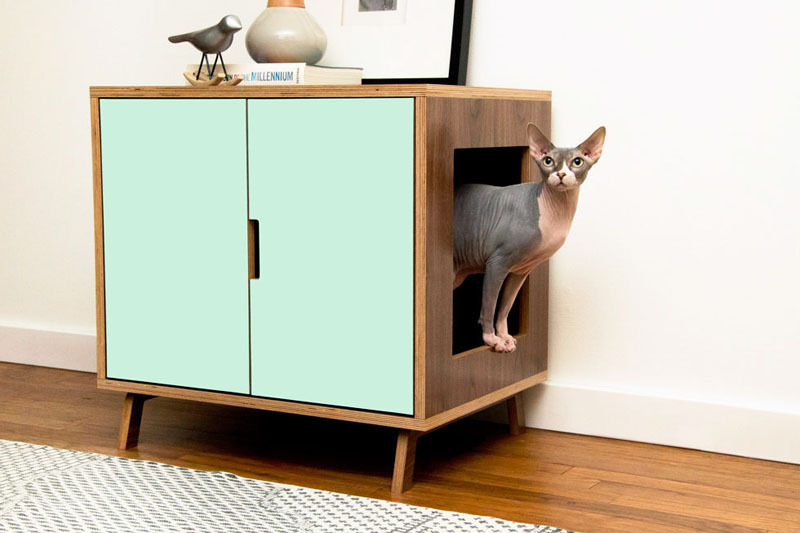 Modernist Cat has come up with a solution to this problem by creating mid-century inspired cabinets, designed to hide and contain your cat’s litter box. 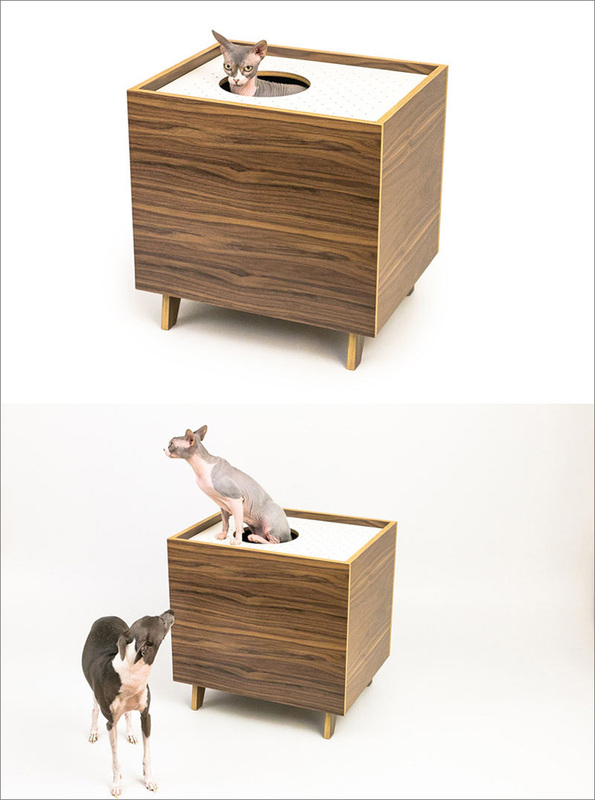 Available in multiple colors and sizes, the cabinets can be used as litter box containers, cozy hiding spots for your cat, or even a seat for you. 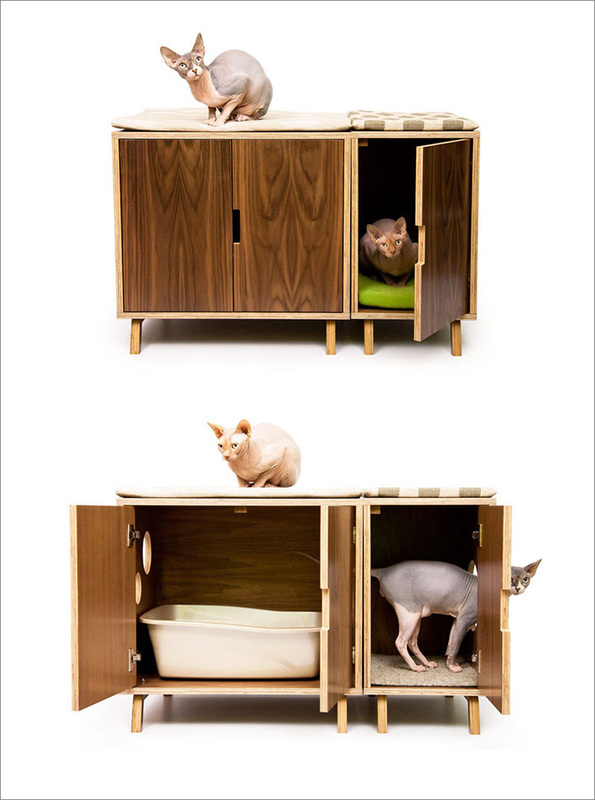 Hardware free doors make it easy to clean and change the litter regardless of where it’s placed in your interior. All of the cabinets are made from a high quality walnut wood with a water proof finish, which can be left natural or painted. 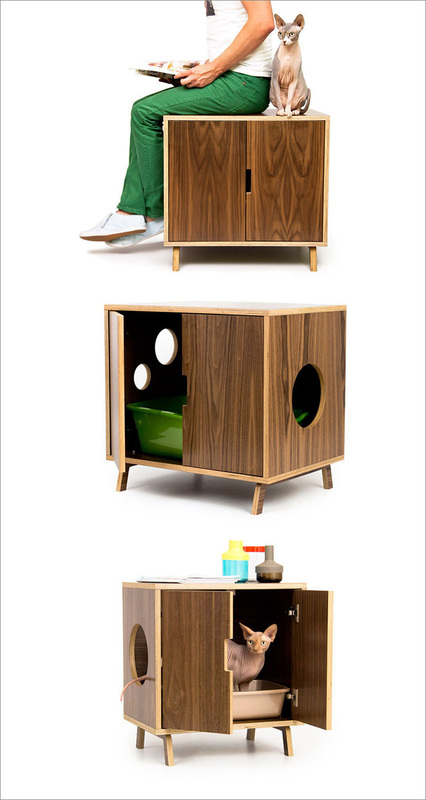 Not only working as a litter box, these pieces of furniture add style to your home decor.